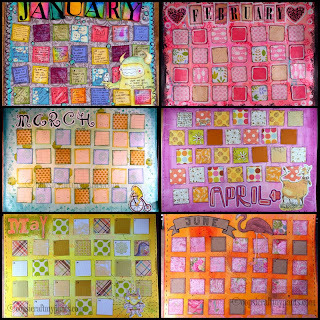 Here is my art calendar/journal page for the month of June! 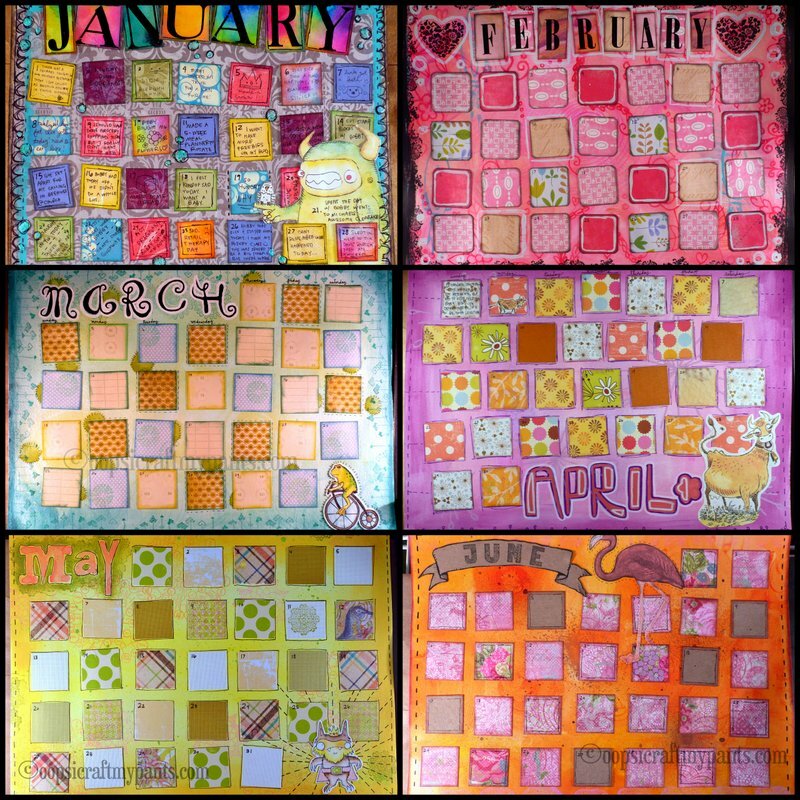 (the Kathryn Wheel Calendar-Along. So cool.) Better late than never, right? I actually remembered and started to make this page at the end of May, but I couldn't work up the spirit to finish it until last night. I usually like to do lots of different papers for the squares, but my laziness got the best of me, and I just cut squares from 2 kinds of paper. It looks fine. Meh. And this month's calendar focal point is a pink flamingo! That just screams summer, doesn't it? And as you can see, I caught up on filling in days, except last Friday. I can't remember anything I did on Friday, most likely I sat watching shows all day long. I've had a lot of lazy days recently. ...And just for fun, here's all 6 of this year's pages. Yes, I have kept up with the journaling, too! I think this is going to be the longest continuous journal writing I'll ever do in my life. I love your flamingo! Yep, summer is indeed here! Thank you for your comment on my blog - I appreciate you visiting! Your blog - your creations - are wonderful!! The button books have caught my eye - so now I'm off to look at your blog more. Love your calendar pages. Orange and pink are a great combination!